The Transaqua proposal—for the transfer of water from the Congo River basin to dying Lake Chad—is an exemplar of the Silk Road approach to developing the Sahel and Central Africa. Governments in the region are now prepared to undertake a feasibility study. The Transaqua project was a major subject of the March 23 Frankfurt conference on “Solving the Economic and Refugee Crises through the New Silk Road.” Dr. Marcello Vichi, author of the Transaqua concept, reviewed the history of the idea. His colleague, engineer Andrea Mangano, presented the parameters of the problem and the specifics of the plan. 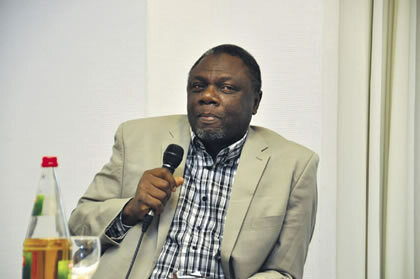 Mohammed Bila of the Lake Chad Basin Commission (LCBC) described the social and economic consequences of decades of inaction, establishing the necessity to act now. Edited excerpts from these presentations follow. Vichi: Transaqua—From Dream to Reality? Dr. Marcello Vichi, author of the Transaqua concept: After writing and talking about how to bring Lake Chad back to life for 35 years, I have passed the baton: The interested African governments have decided to study its technical feasibility. Here, Vichi speaks at a 2011 Schiller Institute event. After 35 years that I have been writing and talking about Lake Chad—about how to avoid its progressive drying, about the best means to combat the ever more evident desertification, a tragedy for the survival of millions of people depending on what used to be the fourth sweet-water lake in Africa—after having listened to reams of useless commentaries and dozens of beautiful articles about the argument, here, today I feel rather satisfied. The next speaker, my colleague Eng. Andrea Mangano, will illustrate the Transaqua idea in detail. I will limit myself to some of the most significant aspects of the history of the idea. Between 1982 and 1985, Bonifica, a consulting engineering firm belonging to the IRI group in Italy, published three technical-promotional documents in three languages. The then chairman of IRI and I presented Transaqua at the Rio de Janeiro Earth Summit in 1992. 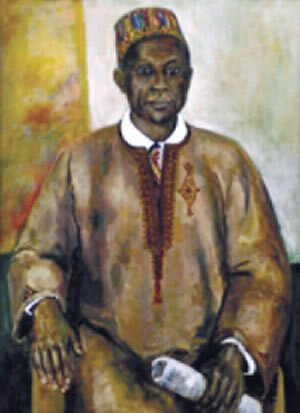 In 1988, Dr. Bukar Shaib said that the only solution for the “catastrophic” condition of Lake Chad was the transfer of water from tributaries of the River Congo to the Chad basin. Shaib—Nigeria’s Minister of Agriculture and Chairman of the Lake Chad Basin Commission for much of the 1980s—spoke on Italian national television. The member countries of the LCBC did not show in that period the same interest in the Transaqua idea. Perhaps they considered it excessively ambitious, megalomaniac, or utopian, and therefore unfeasible—an opinion largely shared, then and now, by many international agencies. Today, distressed by what is considered an invasion of desperate populations of truly biblical proportions, with no hope for work and survival, many European politicians have discovered a new approach: “Let us help them at their home.” Better late than never! The “megalomania” of which Transaqua has always been accused, could be simply considered today the right approach to deal with the enormous problems of the African continent (and of the consequences that result, and even more will result . . . at “our home”)! An Idea whose technical feasibility the member countries of the LCBC seem to intend to check now. It looks like they intend to see whether Transaqua could really become a second Nile in the heart of Africa, able to definitely solve the problem of Lake Chad. What should be done is nothing else than transferring an enormous quantity of water from the catchment basin of the Congo River to the basin of Lake Chad. And there are no alternatives to this hypothesis. And the hypothesis can’t be to transfer a few hundreds of cubic meters per second, but at least 1,500 to 2,000 m3 per second. And it isn’t even possible to consider the hypothesis to pump water into the lake as realistic, not only because equipment of this magnitude and power are unprecedented in the world, but essentially because the issue is revitalizing, and thus keeping the water level, of a real sea, which you cannot expect to achieve by pumping—an idea that, besides being “pharaonic,” would also be stupid. The decision today is just a political one. Concerned African countries, and only they, will be able to decide whether to leave the lake and the people living around it to its natural destiny, or to determine the feasibility of Transaqua. If such a study were to confirm the feasibility of the idea, the consequent political decisions would be much more engaging, because they would initiate a real and effective African renaissance. Our hope is that any kind of solution today—after thirty and more years of guilty inactivity—is not entrusted only to arms and to more and more endemic warfare, nourished by the desperation of new generations. The great construction yard and the massive investments that, in the course of a few decades, could directly and indirectly engage the labor force of a dozen countries in Central Africa, would be able to employ tremendous local human resources for several generations of Africans. These massive investments could direct current flows of migrants towards an enormous developing area that, from being a land of hunger and famine, could gradually transform itself into a series of large work sites producing wealth. About 30 million people currently live in the watershed of Lake Chad, now only a tenth of its size in 1973. The lake is situated in the Sahel region where Niger, Chad, Nigeria, and Cameroon meet. Its watershed covers an area larger than that of Nigeria and Chad combined (approximately 2.4 million km2). The size of the lake has always varied greatly due to natural climatic fluctuations. But the massive shrinking of its surface area that began in 1973, is not only because of the great decrease in rainfall, but also because the population has increased, resulting in greater water consumption, mainly for irrigation. The surface area of 25,000 km2 in 1973 had become 2,500 km2 in 2015, while the watershed population of 8 million in 1973 had grown to 30 million in 2015. Annual average rainfall within the lake’s basin varies between almost zero in the northern desert and more than 700 millimeters in the southern part, and has decreased by about 15% in the last 20 years. Lake Chad is—or at least was—one of the largest endorheic lakes in the world and the largest in Africa. These are the lakes that are not way stations on river systems that flow into the sea; rather, they have no outlet and lose water only by evaporation and infiltration. Other examples are the Dead Sea, Lake Turkana (Kenya), and Lake Urmia (Iran). An endorheic basin has a very unstable equilibrium—there is no guarantee of maintaining a certain level thanks to surplus water flowing to the sea. If water is taken for use upstream, the lake cannot but shrink. When water is short in a given place, either you bring the water in, or people will migrate elsewhere. The blue ribbon is the canal that captures some of the water from the upper reaches of the Congo River tributaries in the yellow catchment area. (The Congo River system itself is a background feature in pale blue, identified at its mouth as F. Zaire. The Democratic Republic of Congo and the Congo River were both known as Zaire during the rule of President Mobutu Sese Seko.) The canal then feeds the water across the divide between the Congo and Chari basins and into the Chari River at the red spot; the Chari empties into Lake Chad. The red spot also signifies a proposed inland container port, industrial zone, and hydroelectric station. The green hatched area next to Lake Chad is an agricultural development region. 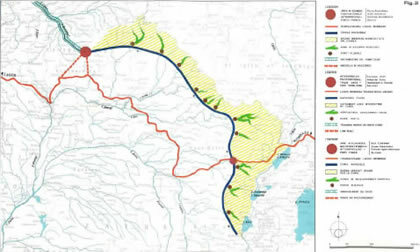 The red ribbon is the projected route of a Lagos-Mombasa Transafrican Highway, which runs close to the inland container port. The canal will be a development corridor. The darker red dots are river ports and the green area upstream from each is an agricultural development area. The canal will have a road alongside and may itself be navigable. The Transaqua solution is to bring water from the Congo River basin to the thirsty Chad region and to increase irrigated agriculture, restore the lake, produce hydropower, and improve international transport in the region. The immense Congo River basin is lightly populated and discharges into the Atlantic Ocean an average of 40,000 m3 per second, equivalent to 1.25 trillion m3 per year, or 14 times the discharge of the Rhine at its mouth. How much of this amount could possibly be diverted into the Chad basin has to be studied. A very preliminary estimate indicates that up to 100 billion m3 per year could be diverted, less than 8% of the Congo discharge, but enough to ensure the restoration of Lake Chad and irrigation of up to 3 million hectares (7.4 million acres). A canal would intercept part of the discharges of the upstream tributaries of the Congo River and convey this water across the divide between the Congo and the Chari basins. The diverted flow would reach Lake Chad through one of the Chari River tributaries, properly reshaped (see Figures 1 and 2). In its fall toward Lake Chad, the diverted flow could be used for hydropower production. A road should be built along the canal to become the backbone of international land transport in the region. The canal may also be suitable for navigation. This idea, stemming from the early 1920s, was studied by Bonifica, an Italian consulting engineering firm, in the 1980s and is presently under consideration by the Lake Chad Basin Commission. It is actually uplifting for me to meet you. The reason is that I never knew about the Silk Road until today, and this is an idea that has been under development for the last 25 years. Equally, we talk about projects, and an idea that another missionary, Dr. Marcello Vichi, had 35 years ago. But now, at the Lake Chad Basin Commission, we look at this idea as the solution to our problems. Lake Chad as a problem started in 1973. That was when the droughts in the area began. This drought led to a 40% decrease in the rainfall in the Sahel region. The impact on Lake Chad is that there is 40% reduction of the inflow into the lake. The immediate effect of that drought was that a massive number of people in the Sahel, the region to the south of the Sahara, moved further south. It used to have about 200 to 300 millimeters of rainfall annually, so that level of rainfall was not there any more. The immediate impact was that by 1975, a lot of people went to the south, from Niger, from Mali, people moved south, because they could no longer survive there. Later on there was an improvement in the amount of rainfall, but this southward movement did not stop. This is natural. If you move from a place where there is a drought, you don’t want to move back when there is no drought. So this movement has continued for the past 25 years. And nobody has been talking about it. The effect is what we are seeing now: The cattle raisers lost a lot of their cattle because of the drought. So it is natural for them to move south where there is more rainfall. And they are gradually moving. It is not a movement that somebody is directing. People start moving to where they have grass and grazing room for their cattle. But the people who they are encountering have a different religion. And their economy is different: They are farmers, not pastoralists. That is the basis for the problems in the Lake Chad basin. It started in Chad and Mali, and it is still going on in Darfur. It moved down into the north of Nigeria—this is the Boko Haram area—and it moved south into the Central African Republic. This is where you have farmers with agricultural areas. The migrants are not from this region, they are not from this country, and they started moving in. What you get in the news is that Christian nations are fighting Muslims. But the real issue is that people have been losing their cattle, so they are moving south. So that is the reality, and it is still happening, even within Nigeria. In the middle part of Nigeria, just about a month ago, thousands of people in a village were killed. This is the problem that we are facing. Now why did we decide to look into Transaqua? Because Dr. Marcello Vichi, 35 years ago, predicted this thing would happen. What everybody always said was: The Transaqua idea is too big, we know no one to do it. This is a big project for Africa. But over those 35 years, how much development has it brought to Africa to try to help refugees, to try to support the local farmers, to try to support local people? If instead we had invested in this, we might not have these problems today. So this led us to the decision that we have to look at this proposal: Is it feasible? And that is where we are right now. For many years, EIR and the Schiller Institutes have addressed the industrialization of Africa, including the problem of the desertification of the Sahel and the drying up of Lake Chad. Some of the resulting publications follow. How the International Development Bank Will Work: IDB, by Lyndon H. LaRouche, 1975. The Industrialization of Africa, by the Fusion Energy Foundation, Wiesbaden, 1980. 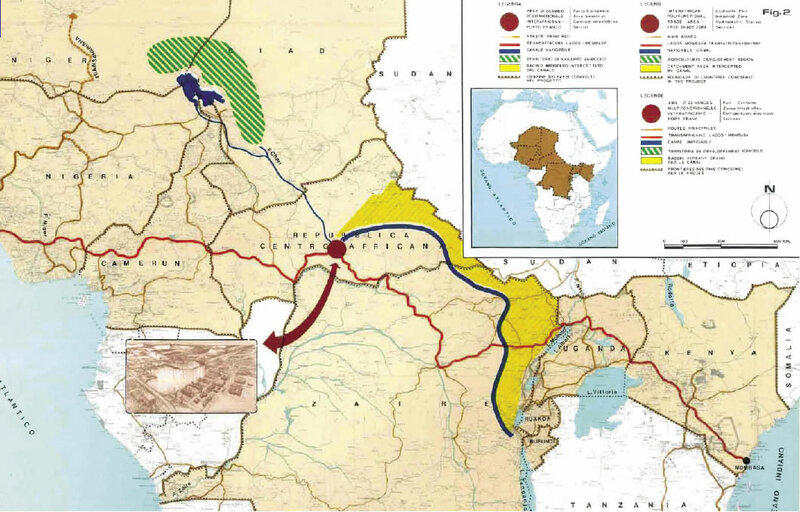 “The Congo-Chad Water Transfer: The Main Features of a Feasibility Study,” by Marcello Vichi, 2010. “Transaqua Development for Africa,” an address by Marcello Vichi, 2011. “Lake Chad, Transaqua Basis for New Africa,” by Lawrence Freeman, EIR, Dec. 5, 2014.